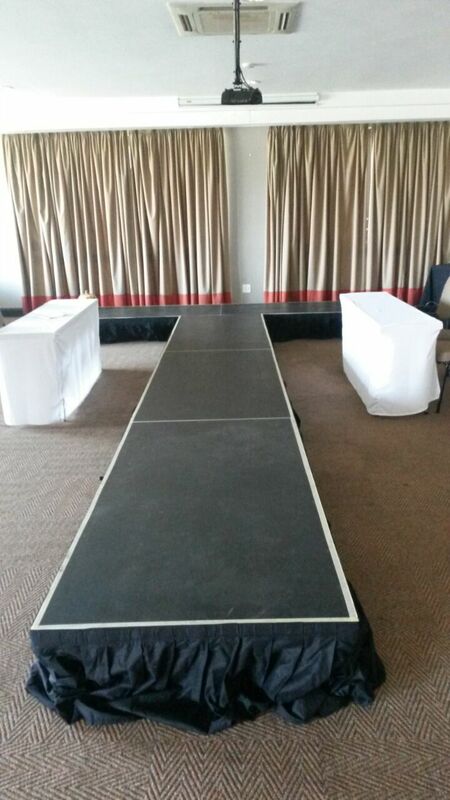 We use professional prolyte stage decks measuring 2m x 1m each. 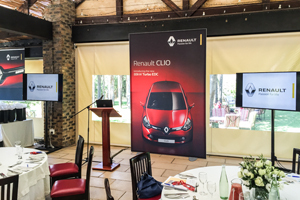 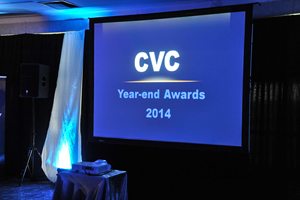 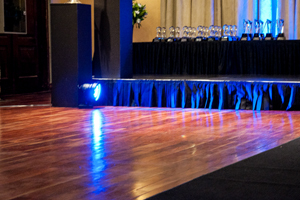 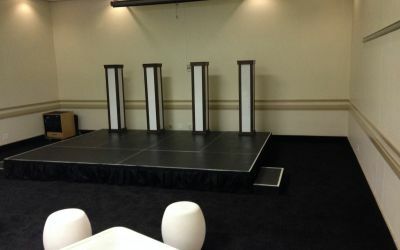 Using multiple decks we are able to build any size stage you require. 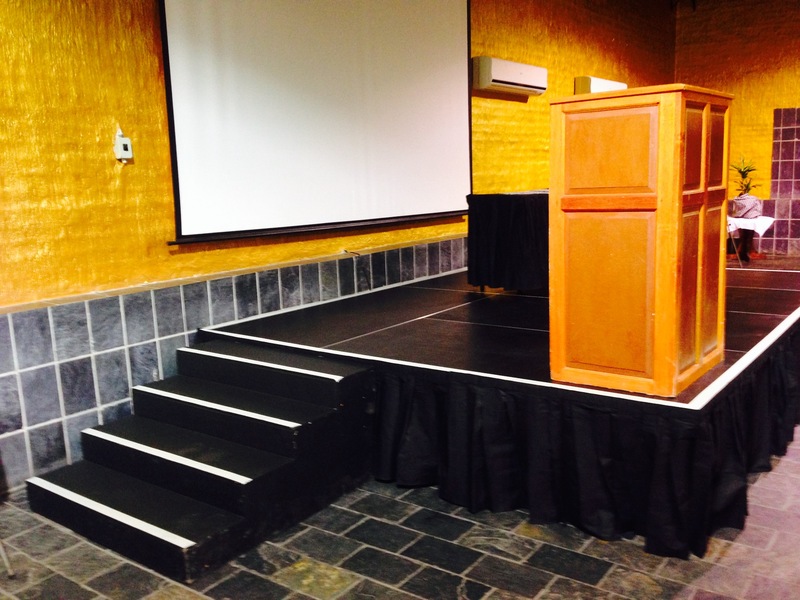 Height options available are 300mm, 450mm or 600mm. 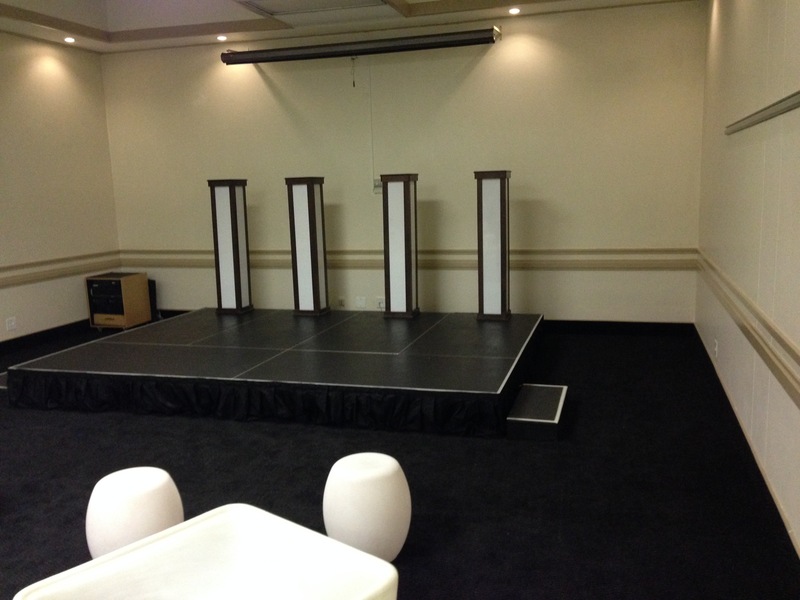 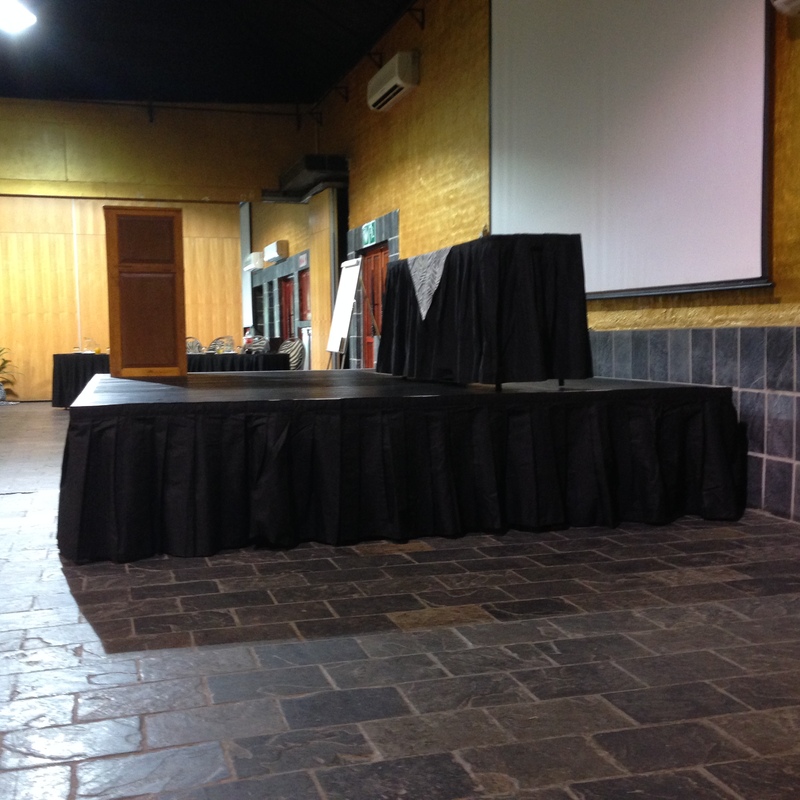 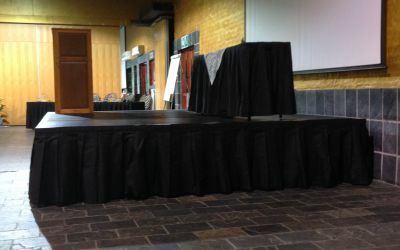 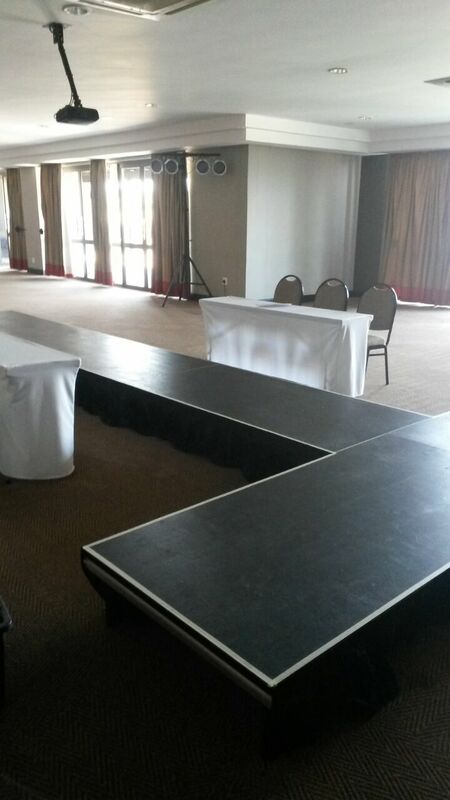 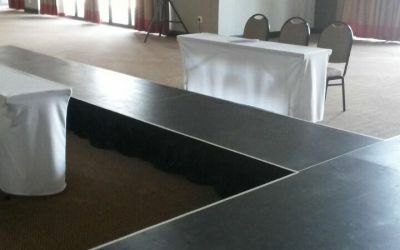 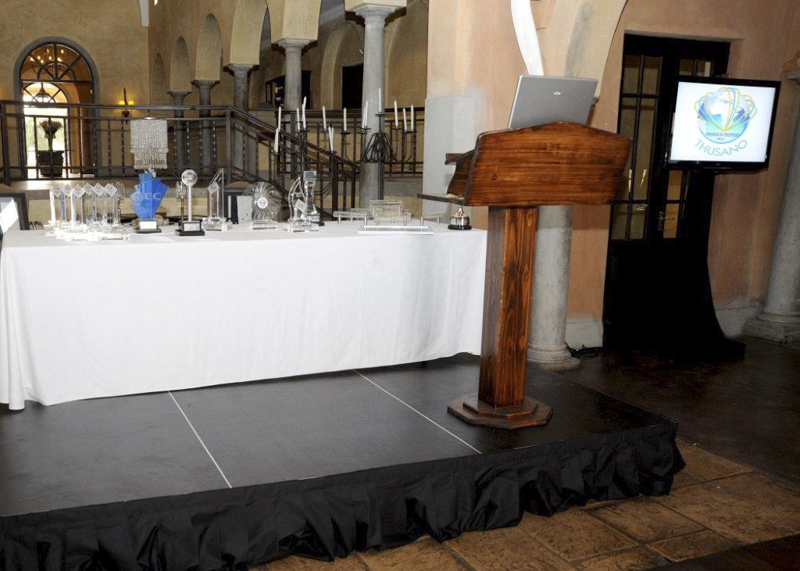 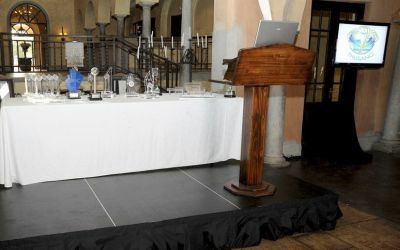 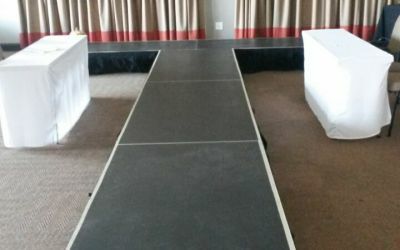 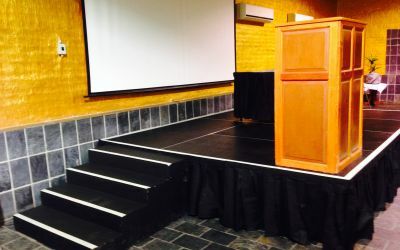 Standard stages are black with black skirting but white stages are also available on request and stairs are included as standard.